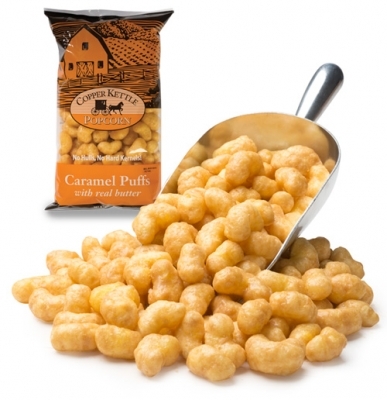 Copper Kettle Caramel Puffs, with real butter. Golden "no kernel" goodness! These caramel puffs start with a hulless corn puff added to the the same scrumptious caramel recipes to offer a crunchy sweet snack without the "kernels". Each bag is 6.5 oz.